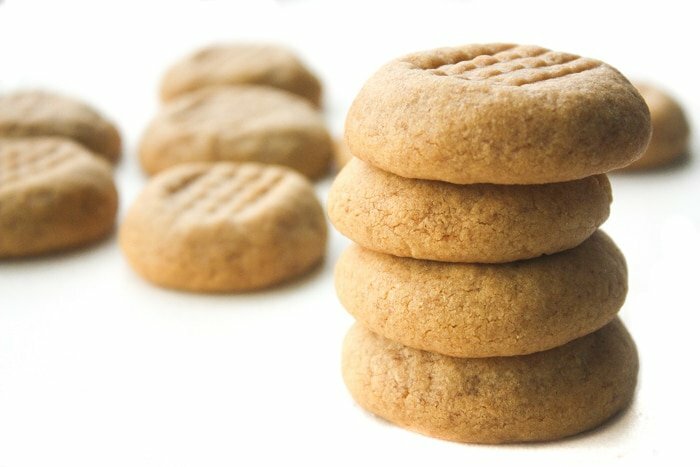 Growing up, peanut butter cookies meant thin, hard and crunchy cookies to me. The ones that were in my great aunt’s tin for what seemed to be a few weeks too long — way past their expiration date. But then something amazing happened a few years ago. I tried an incredible, 3-inch wide, soft peanut butter cookie from the bakery section of my local grocery store. I was forever changed. Now, I cannot even imagine going back to those crumbly, stiff, practically stale cookies that I grew up on. These cookies may be a smaller version of that decadent first chewy cookie that I tried but they taste even better. I mean, obviously they taste better, they are the best soft and chewy peanut butter cookies. Soft and chewy is my new standard peanut butter cookie. And thank goodness for it!! They are my go to treat of choice to make when I am craving something sweet. Firstly, I always have all the ingredients in my pantry, so I don’t have to worry about making a trip to the grocery store. And secondly, I don’t have to wait an hour before I can eat these. It takes 10 minutes to prepare (basically while the oven is preheating anyways) and 8 minutes to bake. Yup, 8 minutes. When you are craving a delicious treat, nothing else is on your mind than taking that first bite. The amount of time it takes really matters!! So what are you waiting for? Go ahead and bake a batch of these little beauties and pour yourself a nice tall glass of cold milk. It’s time to dunk away! Absolutely PERFECT. Wouldn’t change a thing and am here to make these AGAIN (first repeat of many!). I cannot find how to add a top level comment so please forgive me for replying in this thread, but I’ve made this MARVELOUS cookies 3 times (and plan to only use this for peanut butter cookies), but about updating the recipe, I have a light hand measuring flour (I fluff it first), and all three times I’ve used only about 1 cup of flour. More than that causes it to be crumbly; I can’t roll it into a ball and press it. That being said, these are the absolute best peanut butter cookies I’ve ever had! And so easy to make! Thank you!!! Thanks for the feedback 🙂 So glad you like the recipe! I used the recipe as a foundation/start of a random idea and substituted the peanut butter for cookie butter/spectuloss. Thank you for the recipe – it helped me figure out where to begin. 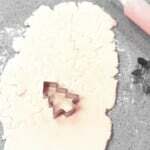 I got a lot of positive feedback on the texture of the cookie and it was due to your recipe! Has anyone tried adding honey to this recipe? Thanks! Every single time I make these I get compliments on how soft and delicious they are. I follow the recipe exactly but roll the dough in sugar simply because that was the way my family always did it. Let me tell you though, these are not the kind of dry, crumbly peanut butter cookies most of us have become accustomed to. The amount of peanut butter makes all the difference, and you will never feel tempted to try another recipe again! I’m so HAPPY with this recipe, tonight is my 3rd time using it!!! Peanut butter cookies are my favorite. Oh my these cookies are AWESOME!!!! !my husband only eats peanut butter cookies and is VERY FUSSY.its been a long long time since i made the PERFECT cookie.thankyou so much…p.s…my hubby says thank you too. This is THE peanut butter cookie recipe I’ve been looking for!! These are perfect. Not flat and greasy like lots of other recipes I’ve tried. Won’t be trying any other peanut butter cookie recipes any time soon. Thank you! You are so welcome! I will have to try it with sprinkles next time! I love these!! Defiantly keeping this recipe! They turned out great. Just like the picture.???? These are SO GOOD! Easy to make, wonderful texture and balance of flavors! I doubled the recipe for our coffee bar at church and they turned out perfectly. Definitely go with the stated baking time. They won’t be brown at all, but that’s what you want. This is now my go-to recipe! The best peanut butter cookie ever! We love these. Everything is perfect, chewiness, sweetness, peanut butter flavor. No need to decrease or increase anything, even the time. 10 min gave me the pefect cookie. I tried 15 min and it wasn’t chewy anymore. So don’t change any ingredient or time, cook and enjoy every bite. Thanks for the great recepie. ???????????? Can someone help… I made a double batch. The dough is really crumbly. I probably didn’t double something properly. Any suggestions that I can incorporate into the dough? These cookies are amazing. So soft and not too sweet. They never last more than a couple days at my house. It’s good with some chocolate chips sprinkled on top too. My husband wants me to thank you for posting this recipe since it’s his favorite. So thanks! These are the best cookies I’ve ever eaten or made. My new favorites. I added mini chocolate morsels to a few of these. Perfect! I’m wondering if this recipe has been revised at some point. I noticed several reviewers commented that 1 tablespoon vanilla was excessive, but the recipe calls for 1 teaspoon vanilla. Yes, it was revised as a lot of you thought the vanilla taste was too strong (although I personally love it!). So I tested the recipe again with 1 teaspoon and it still turned out great. I have a note on the recipe that if you are like me and love vanilla, then you can increase the vanilla amount to 1 tablespoon. Absolutely the Best peanut butter cookies I have ever made or tasted. These are great ! I followed the recipe exactly, thinking I’d tweak it the next time as needed. But, No Tweaking needed! Perfect ! So soft ! Great flavor and texture ! These cookies were delicious! I didn’t have butter on hand so I used shortening instead. The cookies were soft, fluffy, and peanut-buttery. I’ll definitely make these again! Made this recipe yesterday, and again today. Honestly the best peanut butter cookie I’ve ever tasted. Hi! I’ve been baking for a long time, so I know that these cookies will be great! I was wondering though, how many does a batch make? I need to make a lot for my presentation. Thank you so much!! Sorry, my brain is dead, it it too early. XD C: I found it, thank you!!! I haven’t made peanut butter cookies in years, but needed something to bring to a work potluck that didn’t need me to go to the store. This recipe was awesome I only had chunky peanut butter, but really enjoyed the added texture. I’ll definately make these again! Loved the description and loved the cookies even more! Thank you thank you thank you. 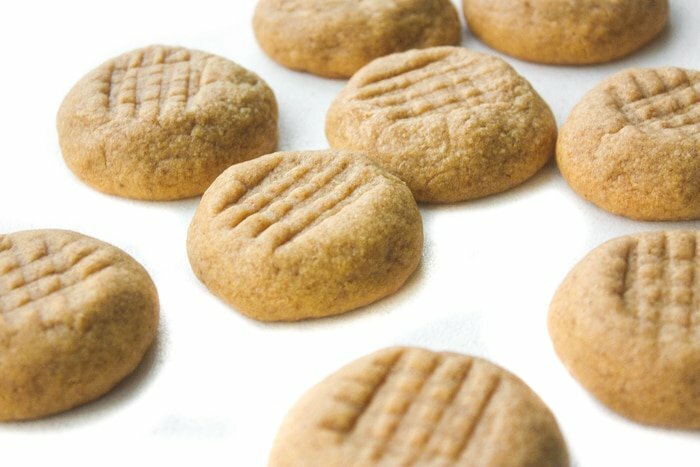 I have been making peanut butter cookies since I was a kid–some 40+ years and this is by far the best recipe for these I have ever had. The reason—-They are fluffy and pillowy–just the way I like them. Heaven!!! I just made these but I added a little extra, some peanut butter chips. Although I can’t try them due to a nut allergy my husband just ate 6 and said they were the best I’ve ever made. Holy Moly these peanut butter cookies ARE the best!!!! I had planned to make these for my husband as I don’t normally like pb cookies. I ended up eating most of them myself! Best Peanut butter cookies I have ever tasted! And this was first time making pb cookies. Lovely smooth, soft texture. Baked them for 9-10 min. An extra 1-2 minutes would have been good too as they crumbled easily. Great with glass of milk! There cookies are AMAZING!!!!!!! Great recipe,quick and easy. Just made these today. They turned out perfect! I doubled the recipe, but that’s the only alteration I made to this recipe! Came out with big, soft, chewy cookies with lightly crisped edges! The peanut butter flavor is awesome! These are so yummy! Will definitely keep this as my go-to PB cookie recipe! Big thumbs up to this cookie! Tried these tonight…made them a bit bigger and i doubled the recipe…made 70. My family loved them. Cannot wait for the grandkids to try them for their lunch at school. I love giving them lil presents in their lunch. I saw that this recipe yielded 24 cookies, so i doubled it. Followed the recipe almost exactly (made the dough balls a little bigger than an inch) and ended up with 84 cookies total. Not sure how that wotked out, but they will get eaten. Very yummy! Absolutely in love with these cookies! Didn’t even need to tweak it! Thanks for sharing ???????? Just made a batch. These cookies are dangerously good! Great recipe! These are the best peanut butter cookies! They’re soft even after they cool. The only change I made was when I make the batter it seemed a little too wet. I added another 1/2 cup of flour and baked them for 9 minutes and they came out perfect. I gave these cookies time to cool until putting them into a container. They crumble since they’re soft. These cookies dont last very long when I give them to friends. Just wanted to put that out there so that others know that they might expect more than 24 cookies. Big, soft & chewy; very good! I am so glad that I found this recipe. I have a recipe for big, soft chocolate cookies but I needed a peanut butter one and this did not disappoint. 8 minutes was perfect in my oven. They are SO soft and not overly sweet. Absolutely perfect. My new PB cookie recipe for sure. Thanks! Recipe is perfect, besides the amount of vanilla! I would cut it in half or eliminate it. It overpowers everything else, otherwise, perfect recipe! Thank you! Made these today and they tasted amazing. Not overly sweet or salty. Perfect combination of ingredients. Hi there, I would like to confirm before I attempt to make these…is 1 Tablespoon of vanilla correct? It sounds like too much for this size batch. Thanks for your help! I want to make these tomorrow, but confused about the vanilla now… here in the comments it says 1 tablespoon, but in the recipe above it says 1 teaspoon? Great Peanut Butter cookie recipe. I made two batches of them today. The first time I followed the recipe as published. It was a fantastic cookie. The second batch I decided to brown the butter first. It gave the butter a little nuttier/caramely flavor. I would try it with brown butter, absolutely delicious! This recipe is a keeper, thank you! I made these for agape love and I added PEANUT BUTTER M&M’S in the middle!!!! Highly suggest adding these! Thank you so much for pefect peanut butter cookies! Just made them can’t stop eating them. Is there a brand of peanut butter you prefer? got another question about all purpose flour! What is the protein % of all purpose flour you used? Because I just noticed mine got only 9%, and i considered it is a bit low, (i bought plain flour instead of all purpose, though i know some think they are the same)! please advise! thanks again! Thank you Sam, have baked today and they are so yummy, I got some butter cookies too but now yours is my new love! thanks! I live overseas and have discovered recipes often don’t work the same here in Asia. I made a batch of these cookies last night, following your recipe to a tee. They are SO GOOD! I absolutely love soft cookies. My hubby prefers a crisp cookie. 8 minutes made a perfect cookie for me, a couple of minutes longer and letting them cool on the tray made a deliciously crisp cookie for my man! I have already shared the link to your recipe with another friend who also lives overseas. Thanks for such a great recipe! This will be my go-to peanut butter cookie recipe from now on! Best peanut butter cookies EVER!! It’s definitely a keeper! I just finished making a batch of these, I used homemade peanut butter, and they came out beautifully. Amazing texture and flavor, and very simple to make. Thank you. Can’t wait to try this recipe! Have you ever made it with homemade PB? Absolutely the best and the simplest peanut butter cookie ever! This is my go-to recipe from now on! Thanks, Sam. These are beyond delicious. 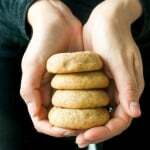 I tried a few peanut butter cookie recipes before I found this amazing recipe. Seriously, these are the best peanut butter cookies I’ve ever eaten. I was making cookies for a school bake sale so I tripled the dough. I made half based exactly on the recipe. For the other half, I added Ghirardelli dark chocolate chips and broken up butterfingers. They got even better. Thanks for this winner of a recipe!! Of course, all of the cookies sold! Thanks, Dana! I am glad to hear you bake sale was a success 🙂 and OMG Ghirardelli chocolate and butterfingers!! I will have to try that! I AM NOT A GOOD COOK BUT I MADE THESE AND THEY LOOK JUST LIKE YOURS, NOT TO MENTION THEY ARE SOOOOO DELICIOUS. I AM A PEANUT BUTTER LOVER AND THESE ARE THE BEST PEANUT BUTTER COOKIES I HAVE EVER TASTED. Can chunky peanut butter be used ? I have never tried this with chunky peanut butter, but I do not see why not! Although, the texture will be different. Hello there. Can this recipe be doubled and can it be frozen? I’m mixing up cookie dough and freezing it to give to my sister and brother in law for Christmas presents. Yes, you can double the recipe and freeze the cookie dough. I would recommend rolling the cooke dough into balls, place onto a cookie tray and slightly press down on the dough with a fork. Then place the cookie tray into the freezer for an hour. Once frozen, transfer the dough into a ziplock bag and store for up to 3 months. SOFT. CHEWY. TASTY. DELICIOUS. ADDICTIVE. Just a few adjectives to describe these peanut butter cookies. I baked a batch of these scrumptious peanut butter cookies this morning and they came out superb. Mine looked exactly like your picture. This is my new peanut butter cookie recipe.. Thank you for sharing this recipe. perfect recipe! My cookies look just like the pictures! So delicious! I am not a fan of peanut butter, but my husband is, just to made him some and he said they are the best he has had!???? it does not specify, but is the brown sugar “dark or light”?? 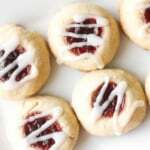 Could I make these into thumb print cookies and add jelly? Can I use crunchy peanut butter with this recipe? I have never tried making it with crunchy peanut butter, but I don’t see why not. It will likely result in the cookie being a different texture but the taste should be the same. The are the best cookies in the entire universe! recipe is a keeper. Love, love, love it! Oh my gosh, these are the BEST peanut butter cookies I have ever made. They were an instant favorite at my house. Today I’m making the chocolate chip oatmeal cookies. Yum! These were a huge hit in my house. I dipped them in chocolate after baking. Needless to say they didn’t last 2 days with our boys. I started doubling the batch anytime I need cookies-half to take and half for us to eat. Thank you! And dipped in chocolate.. omg!! That sounds like the best idea ever! Hi,I made the recipe twice, but they weren’t smooth like you pic. they were cracked around the edges. Does this happen sometimes when making this recipe? Is there a fix? 1) Make sure to take out the cookies at 8 minutes – do not overbake. If you have been taking them out at 8 minutes, it could be possible that your oven is hotter than mine so instead keep an eye on the cookies and take them out as soon as the tops begin to slightly crack. Even if they don’t look done, they will continue to firm up once you take the them out of the oven. 2) Make sure you are using softened butter and a large egg. I did soften the butter, use a large egg, and baked them at exactly 350 for 8 minutes. The cracking didn’t happen during cooking, but was when making the dough and slightly pressing down. I couldn’t smooth them out on the edges. Just made these this morning and they are out-of-this-world good!!!! So easy and the best peanut butter cookie I have had, hands-down. This recipe is definitely a keeper!!! Hi, is it really supposed to be 1 tablespoon of vanilla – most recipes call for only 1 teaspoon. I didn’t see any other comments about it, so I assume it really is a tablespoon, but would just like to verify. I literally just made these and they are AMAZING! This will be the only peanut butter cookie recipe I use from now on. Thank you so much for the recipe! I have never tried it with crunchy peanut butter so I can’t say for sure… although I don’t see why it wouldn’t work. Although, it would probably cause the cookies to have a different, more crunchy texture. I just tried this recipe word for word and they are awesome!!!! Next time we are going to add peanut chunks!!! The BEST ever! Soft and Chewy! Hi. I really want to try these, and I will be using a Large Oster Convection oven. Do I need to change the temperature and time for these? Hi Sandra, I have never made these cookies in a convection oven. I would suggest trying a small batch first at the same temperature but baking for about 5-6 minute OR at a lower temperature of 325 F and baking for the full 8 minutes. It may take some trial and error to get it right which is why I suggest baking just a few at first. 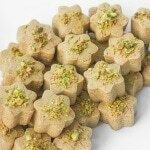 I made these, I loved them but my family said they were not sweet enough, and they couldn’t taste the peanut butter . I want to make these again, and wanted to know how much more sugar I need to add, and peanut butter. Thanks so much. Made these with some unsalted, unsweetened cashew butter I got from a friend… then ate the entire batch. These cookies are ***phenomenal*** and I’d imagine they would be great with any number of nut butters. Thanks, Dani! 🙂 I am glad the cookies turned out just as good with cashew butter. I never thought about using other nut butters, what a great idea!! These cookies came out fabulous! Always hated crunchy peanut butter cookies. I accidentally made a batch with with 1 cup of butter, not 1/2. Can someone tell me how to save them? Have you already baked the batch or have you just made the batter with the extra batter? If you are just at the batter stage, I would double the rest of the ingredients… but then you will end up with a lot of cookies! These came out wonderful! Thank you so much for the recipe. It’s definitely one for my collection! Oh man these look amazing. While I like my chocolate chip cookies crispy, I love my peanut butter soft and chewy so these are perfection! And I totally have all the ingredients in my pantry right now. Perfection. Sam, my wife loves peanut butter. She also likes soft cookies. This is perfect for her. Thank you for posting the recipe. I know we will try these. These bring back memories from my childhood. The cookies that you stamp with a fork. haha. These are also my mom’s favorites aside from anything chocolate related. I adore Peanut Butter Cookies. I’ll have to try this recipe out sometimes soon. I love peanut butter cookies. I can eat them like everyday. I normally make them with only 4 ingredients. This sounds yum! Haha me too! Thanks, Rose! Peanut butter cookies are my favorite. 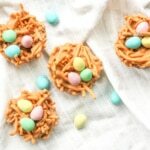 These sound so delicious and easy to make! soft and chewy is the only way to eat cookies that aren’t Oreos. I love the look of this recipe (pictures are wonderful!) and will be testing this on my resident cookie eaters soon! I absolutely love peanut butter cookies, definitely one of my favourites! These look so good! Nothing better than a good old plain peanut butter cookie!! SO yum! I am always on the lookout for soft, chewy cookies and this one sounds perfect! Just printed out the recipe to try later today. I have typically not been a fan of peanut butter cookies because they are always so hard and crunchy. But I love soft cookies so these look amazing! I adore nut butter of all kind. Chewy and soft — craving one! Checked out this recipe last night, … had to come back because I can’t stop thinking about these! Going to make them with the kids tomorrow! I am so with you that a peanut butter cookie should be chewy and soft. These look incredible – and great photos! Already pinned this recipe! These moist peanut butter cookies look so good. I am craving one…or maybe three of those. I haven’t baked cookies in ages, bad mommy! This look wonderful!! I think I’ll throw in some chocolate chips and be super mommy for the day! Hahaha 😀 Yes, you can most certainly thrown in some chocolate chips! YUM! Peanut butter cookies are my middle sons favorite thing to bake. He likes to make them for church. We’ll have to try your version soon. Peanut butter cookies are my favorite. These look like the perfect rendition of a classic. Sam, I caught a preview of this recipe (well the pictures) on your Instagram account and was intrigued. 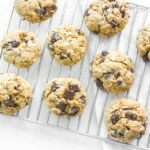 I cannot wait to whip up a batch of these cookies, just waiting for the gluten free flour to arrive in the mail…..ahh! I love peanut butter in cookies and these sound perfect! We love peanut butter cookies here! No way they would last 2 weeks! These look great. My kids would love these. You definitely can’t go wrong with soft and chewy peanut butter cookies! These look really yummy, and I can’t wait to try them! Those cookies look so perfect! As a terminal chocoholic, I’ve always turned a blind eye towards peanut-butter (funnily, I love peanuts), and I’ve made the crispy kind of peanut butter cookie once before, but that’s it. Your soft and chewy kind gives me an incentive to give it one more chance! My cookies NEVER come out looking as perfect as this. Will have to give this a try to learn your secrets. Thanks for sharing. Great for people who prefer soft cookies! I like crisp, myself, but I’ve always had friends who didn’t, and it would be nice to be able to offer them a cookie they prefer! I love, to, that you *tell* us – so often I’ve had to make something to find out what the texture would be like. I had peanut butter cookies for the first time when my friend and I visited her grandmother after school one day… it was fresh and slightly crunchy but I’ve never tasted anything quite like it in the years since. I tasted some store-bought hard over risen type a few months ago and was not impressed. I’m going to give this a go and see if I can replicate your delicious looking cookies. Do you use all purpose flour in this recipe? 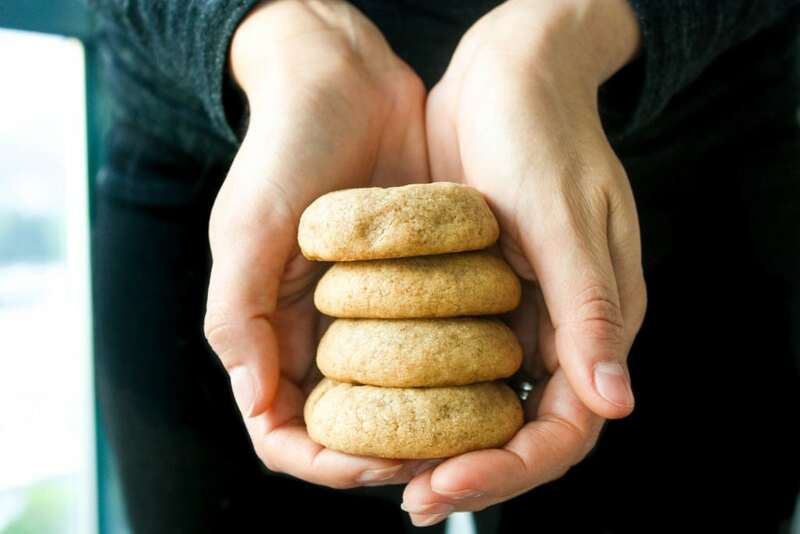 I haven’t had a peanut butter cookie in a while so looking forward to making this recipe with my kids. PS – Can I ask you what plugin you use for Pinterest on your sidebar? These cookies look so good! 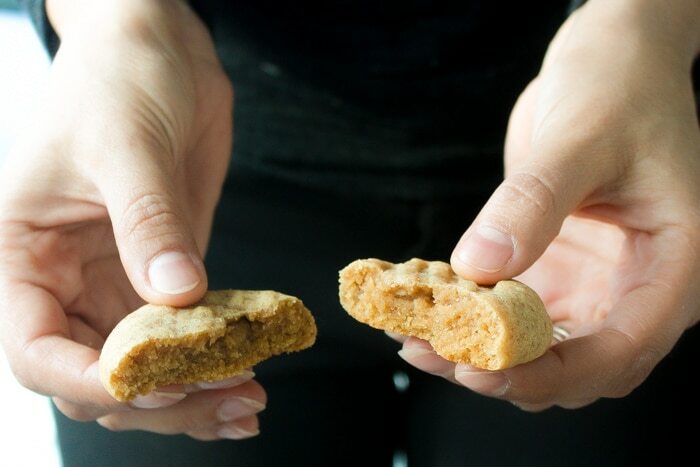 Pinning and sharing, I love peanut butter cookies, one of my favorite flavors. These look very tasty and very easy! I love love love peanut butter cookies, especially when they are chewy This is an easy recipe too which always helps. I can’t wait to try them. OH how I LOVE peanut butter and anything it is added to. These look delightful!! Ohhh you are the best! I love love love peanut butter cookies, but I have never been good at baking things from scratch. I love that this is simple enough. Oh my, this look delicious. Can’t wait to try them out this weekend! Thank you! You can go wrong with peanut butter cookies! Yum!